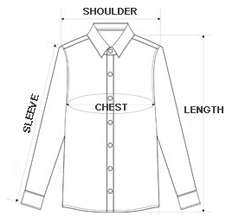 2.You need to choose the clothes chest is usually bigger than your body chest 5-10CM, Otherwise it may be very tight! 3.Recommendation table is based on years of experience from the seller, For reference only! If not sure, you can tell me your height and weight, we can help you choose the size!